As the new year comes and goes, I hear so many people talking about resolutions, often related to “diet”. I also read about different fad diets- restricting this, avoiding that, eliminating entire food groups. As a pediatrician, these “diets” really frustrate me. Decades of research and thousands of years of human existence have proven again and again that the healthiest diets contain a variety of foods, with a focus on vegetables, fruits, high fiber grains, nuts, seeds, and other proteins. So in our modern world, how can we eat well without becoming obsessive, restrictive, or just plain confused? I have found a pretty simple and basic way to look at nutrition, and I hope it will be helpful for others. I will say, I know that some people have to follow restrictive diets due to food allergies and other medical conditions, and I recognize how difficult that is to do on a daily basis. So many diets these days require tracking and counting that is just not practical in the real world. The only thing I track in my own diet is fruit and vegetable consumption. 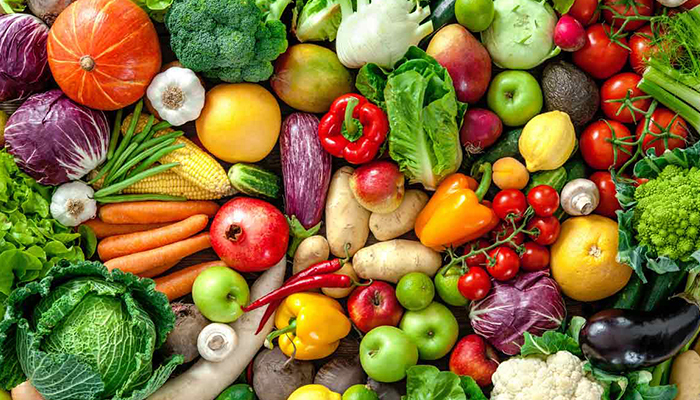 The Centers for Disease Control recommends that children and adults aim to eat between 5-9 servings of fruits and vegetables per day (2-4 fruits and 3-5 vegetables). We know that fruits and vegetables are the cornerstone of a healthy diet for a plethora of reasons; one of which, I want to point out is fiber content. Studies in adults have shown that diets high in fiber lead to sustained weight loss and maintenance without the need to change or restrict anything else in the diet! This is because high fiber foods tend to be fairly low in calories while also being filling and having a high water content. I try to eat a fruit and vegetable at each meal, and if I get to dinner and realize I’m short on those for the day, I will add an apple or pear or handful of baby carrots, etc. until I’m up to 5 servings for the day. In addition to eating a fruit and vegetable at each meal, I recommend people get some high-fiber grains or seeds plus some protein. There are thousands of ways to do this, and I don’t think we need to label certain foods as good or bad. Food was made to be enjoyed. Some people would argue with me, but I still think it’s OK to enjoy birthday cake, or a little sweet treat, or some French fries once in awhile. Restrictive diets tend to lead to eventual binging or overeating. I think the key is that if we eat our really nutritious foods first, we won’t be so hungry for the less nutritious foods. I recommend eating fruits and veggies first in a meal, then the proteins and grains, then a small treat if you are really craving it (which you might not be after your fiber-filled meal). So what is the bottom line? Try to eat at least 5 servings of fruits and vegetables per day. Eat a variety of whole grains and proteins. Enjoy a treat now and then. Don’t obsess about calories, macronutrients, micronutrients, what your neighbor is eating, what the latest celebrity is eating… reclaim your sanity and enjoy what you eat! I’ll end with a quote from a very practical, common sense scientist, Michael Pollan: “Eat food. Not too much. Mostly plants”.